for vacation and store maintenance. Tuesday 9:30 - 6 P.M.
Thursday 9:30 - 6 P.M.
Saturday 10:00 - 4 PM. 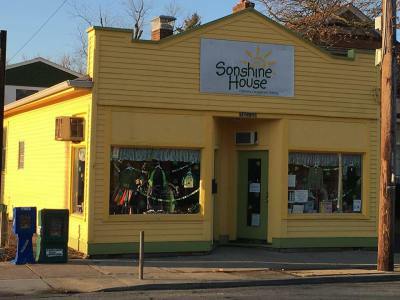 The Sonshine House has been bright spot in the College Hill area for almost 10 years. We sell quality children's clothing, toys, books and games at low prices. 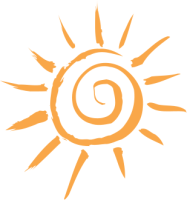 Because the Sonshine House is a 501 (c) (3) non profit, the money from the sales can be deducted from our sellers' taxes. We care about families and love helping the community. 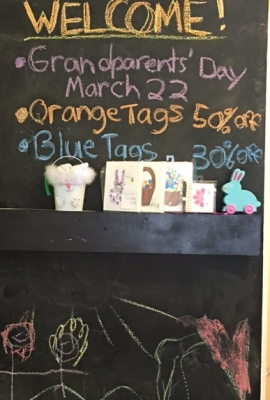 We will work hard to sell your kids' items and to put money in our pocket. We take care of our customers, helping them find exactly what they're looking for. All of our procedes help local childrens' programs. Our sellers get between 40% and 50% commission on their items that sell. The 50% - 60% of sales that go back into the store can be used by our sellers as a tax deduction. This is not a job for us; its a calling. Our staff is made up entirely of volunteers who are passioante about the ministry.